The Institute of Media Environment is one of only a handful of research institutes around the world that analyze society through the viewpoint of media. We place a particular focus on “sei-katsu-sha” (people in their day-to-day lives) to look at how technology develops and becomes embraced. This gives us realistic insight into business directions. 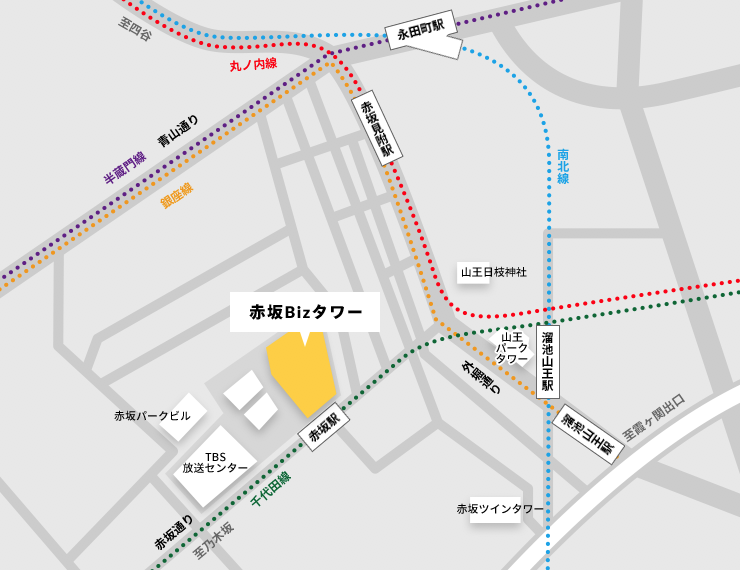 Our characteristic approach is based on the triangle focus on business, technology, and sei-katsu-sha. As the media environment continues to transform, media will start to connect not just among people, but also among people and materials, and among different materials. Providing foresight based on in-depth observation of this dynamic trend which the existing frameworks have failed to capture, and coming up with constructive measures - This is the mission of our Institute. We hope to offer an open and innovative platform that is useful to you when you consider media and its environment. Mr. Yoshikawa joined Hakuhodo Inc. in 1989. 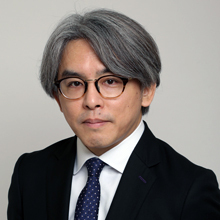 After serving as a market planner and a Hakuhodo Foresight consultant, he assumed a position in the Hakuhodo Institute of Life and Living in 2004. He worked as the leader of Future Forecasting Project to present a vision of the future for “sei-katsu-sha” and marketing, culminating in publications Taido Hyomei Shakai [態度表明社会, Attitude Expressive Society] (2009), Soshi-ka [総子化, Prolonged Childhood] (2012) and Duaru Masu [デュアル・マス, Dual Mass] (2014). Mr. Yoshikawa was appointed an acting director of IME in 2015 and has been the director since 2016. 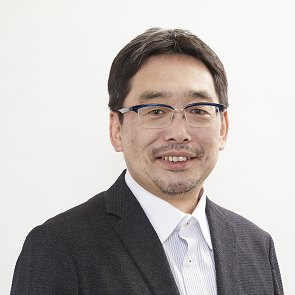 His major publications include Ashu Mirai-zu 2010 [亜州未来図2010, A Future Map of Asia 2010] (2003) and Monosashi no Tsukuri-kata [『ものさし』のつくり方, How to Create a Measuring Device] (2012). Joined Hakuhodo in 1999. After serving as a sales manager for confectionery manufacturers and a game makers, she assumed the current position. 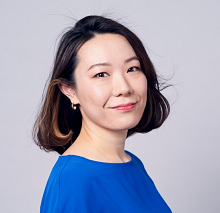 She is providing insights and offering information on the future media environment, based on activities such as consumer surveys, reporting from technology conferences, and interviews with media business executives. 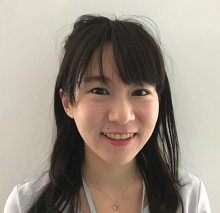 From April 2018, she lectures part-time at The University of Tokyo, Interfaculty Initiative in Information Studies. 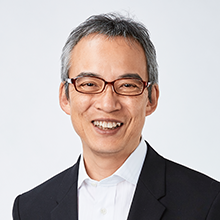 Joined Hakuhodo in 1984, where he engaged in marketing research / planning for products and services across a variety of industries. 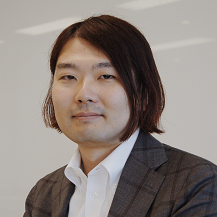 While at Hakuhodo, he worked as a consultant at Hakuhodo Foresight/ Innovation Lab (2003-2012), and as a researcher at Hakuhodo Institute of Life and Living (2004-2005). Joined Hakuhodo DY Media Partners, Inc. in 2018 after working at MD Department of Hakuhodo Chubu Office. His publications are "Future Map of Asia 2010 - 4 Scenarios" (Co-authored, Hankyu Communications, 2003), "What is a `Black‘ Rich?" (Co-authored, Shueisha, 2007), "Foresight Thinking Methodologies" (Co-authored, Keiso Shobo, 2016). Ms. Niimi joined Hakuhodo Inc. in 1989. She was engaged in researches in media values and building benchmark platform to measure the effect of newspaper ads until assuming the current position in April 2013. 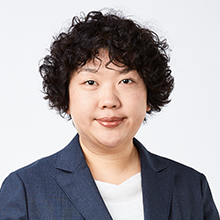 She is responsible for carrying out research on the media behavior of sei-katsu-sha through Annual Media Consumption Report and other qualitative studies. She was an editor-in-chief of Kokoku Bijinesu ni Kakawaru Hito no Media Gaido 2015 [広告ビジネスに関わる人のメディアガイド2015, Media Guide for Advertising Business Person 2015] (Sendenkaigi). 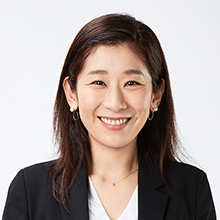 Ms. Noda joined Hakuhodo Inc. in 2003 and worked on client branding, product development and communication strategy in a variety of areas in consumer goods including food, toiletry products, and automobiles as well as durable goods. She specializes in offering insight into sei-katsu-sha behaviors by following consumer lifestyles and conducting interviews. 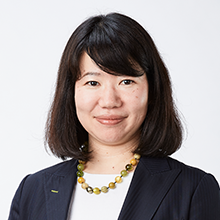 Since assuming the current position in April 2017, Ms. Noda has been researching on the trends of sei-katsu-sha media life. 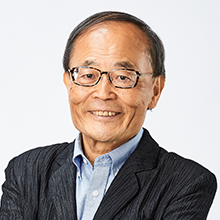 Mr. Tanaka joined Hakuhodo Inc. in 1983 and experienced a number of positions in R&D, media planning, media marketing, media account production, among others, prior to assuming the current position in 2017. He worked in the areas of automobiles, food and luxury brands as a media planner. 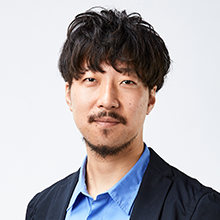 As a media marketer he mainly conducts and presents empirical studies on media value of newspaper and radio, while contributing articles to magazines including Kokoku Geppo [広告月報, Advertising Monthly] (Asahi Shimbun), Minpo [民放, Commercial Broadcasting Monthly], Zenkoren [全広連] and Sendenkaigi [宣伝会議]. 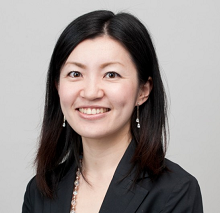 Ms. Minagawa, a touchpoint evangelist, oversees a diverse range of responsibilities, including overall strategic planning, KPI development and PDCA management, spanning everything from mass media to new media and incorporating any and all touchpoints. 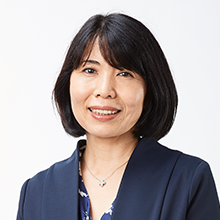 Based on a holistic approach to communication, she seeks out new toouchpoints and finds ways to use them to foresee changes in sei-katsu-sha communication and to offer up new business models. Ms. Minagawa is also engaged in trend analysis of effectiveness measurement and system development. She has a wealth of overseas experiences, including her roles as a judge in the Creative Data Category at the Cannes Lions International Festival of Creativity (2015) and as a member of the I-COM Advisory Board. She is a skilled generalist who is well-versed in technology at the same time. Mr. Sone joined Hakuhodo DY Media Partners, Inc. in 2013. After being in charge of planning and proposal drafting utilizing publisher properties in the magazine section, he is now engaged in a wide variety of work from comprehensive media planning based on actual data to planning and production related to media contents as a member of the Integrated Communication Planning Section under the Media Solution Department in Kansai Office. Strategic Planning Director, Hakuhodo Kaimono-Kenkyujo. In 2003, he had graduated from Faculty of Education, the University of Tokyo and joined Hakuhodo, where he worked as a marketing planner for communication planning. 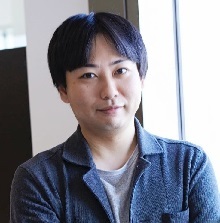 He participated in Kodomogokoro Factory from 2007 and has planned and managed experience-based content such as Kurayami-Shokudo. 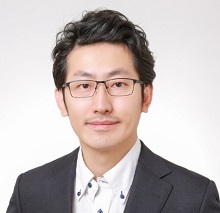 In 2011, he was transferred to Hakuhodo Institute of Life and Living and worked on consumer foresight, and then assumed current position from 2015. He has devised concepts such as “Yokyu-Ryukyo”, and “The Tragedy of Non-Chooseable Shopping”. Currently provides foresights on shopping behavior in complicated purchasing and information environment as well as endeavoring to develop new experience-based content such as “Kurayami Record” which features listening to pleasant sounds/music in darkened environment. ＂Friends of Infrastructure”, ＂Dual Mass”, ＂Era of Yokyu-Ryukyo”, ＂New Shopping Behavior of Millennial Family”, ＂The Tragedy of Non-Chooseable Shopping”. Joined Hakuhodo in 2003. She has worked as a marketing planner for clients across a variety of industries including education, food, beverages and toiletries. Also, she has worked for services using DMPs and communication design at excavation starting point of deep insight of consumers. To provide knowledge on marketing to women, she has established the＂Career Woman Lab”, an internal think-tank, in which the research subject is working women. Joined Hakuhodo DY Media Partners Inc. in April, 2018. In 2008, he joined D. A. Consortium Inc. After engaging in the development and operation on an ads serving infrastructure system and other internal systems, he has worked on marketing research and business planning on advanced technology and domestic/overseas ad-technology at the Ad-Tech Laboratory from 2012. Also active in promoting consumer privacy protection at Japan Institute of Law and Information Systems(JILIS), Data Driven Advertising Initiative(DDAI) and Japan Interactive Advertising Association(JIAA). 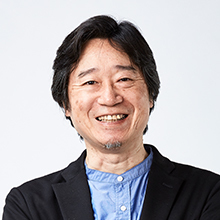 Joined Hakuhodo in 1989, where he worked in the Marketing epartment and participated in the “Hakuhodo Dennotai”, an experimental department focusing on Net×Advertising. Since 2003, he has worked as a freelance marketing planner. 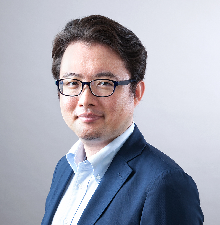 A fellow of Hakuhodo Planning House Inc. His publications include ″Marketing after 3.11“ (Co-authored, Asahi Shimbun Publications,2011), “Book Guide for Marketers” - Series Yomiuri Shimbun AD Report OJO, 2009-2017). December Hakuhodo DY Media Partners Inc. was established. April The Institute of Media Environment (IME) was established. November IME organized the first Institute of Media Environment Forum on the theme “Media Branding.” Hereafter the IME Forum was held annually through 2015. February	IME began its Annual Media Consumption Report. Hereafter through 2009 the survey was conducted annually covering the following areas: Metropolitan Tokyo, Osaka Prefecture and Kochi Prefecture. February	Aichi Prefecture was added as a survey area of Annual Media Consumption Report. 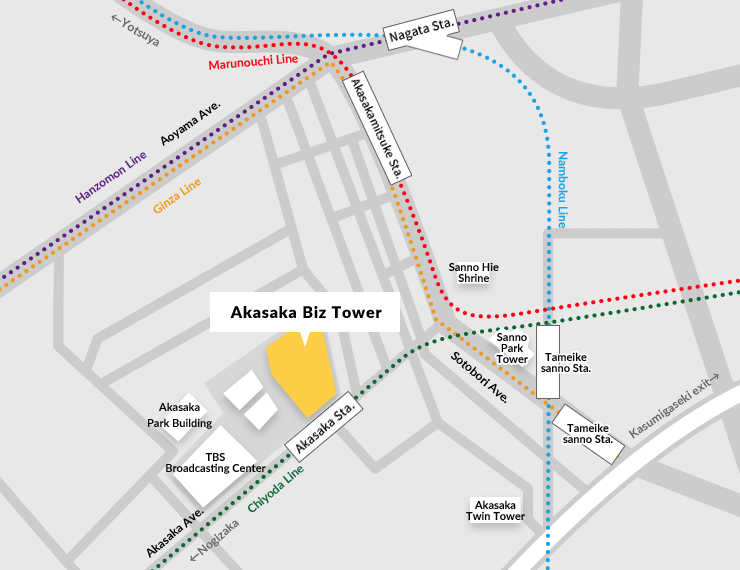 Hereafter the survey has been conducted annually covering the following areas: Metropolitan Tokyo, Osaka Prefecture, Aichi Prefecture and Kochi Prefecture. July	IME organized the first seminar for Annual Media Consumption Report 2015. The IME Forum expanded into two separate forums, the Media Life Forum and the Media Business Forum, each being held annually. Hakuhodo Inc. DY Media Partners Headquarters. For inquiries about the activities of the Media Environment Research Institute, opinions and requests, please contact from the following address. We may get some time to reply. In addition, we may not be able to respond to inquiries. Please note.